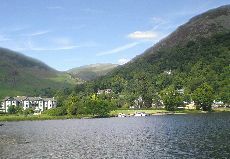 Glenridding in the Lake District of England Attractions Photos and Accommodation. Glenridding is a scenic peaceful small village situated at the south side of Ullswater Lake, in the Lake District National Park in England, about 12 miles southwest of the M6 at Penrith. 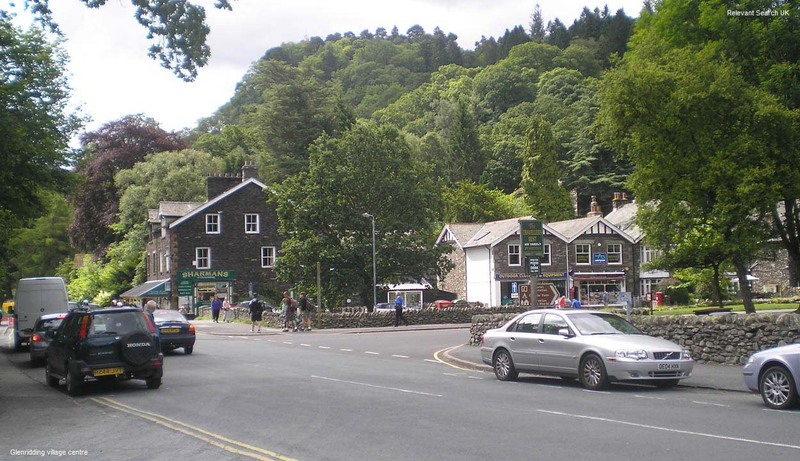 The village is popular for the Ullswater Steamers that run between the pier at Glenridding and the pier at Pooley Bridge, 8 miles northeast. Map. Donald Campbell broke the world water speed record on Ullswater Lake on the 23rd July 1955, in the Jet powered Bluebird K7. The measured mile, one run in each direction, saw him set a new world record with an average speed of 202 mph. 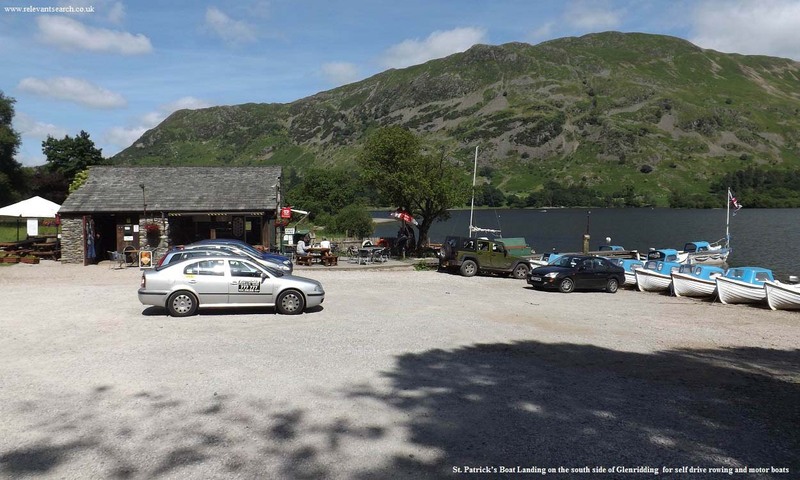 Glenridding Sailing Centre offers a wide range of boats and canoes for hire, tuition is also available, or you can take your own boat and use their facilities for a small fee. St. Patrick's Boat Landing has self-drive motor boats, self-drive fishing boats, rowing boats, and mountain bikes. 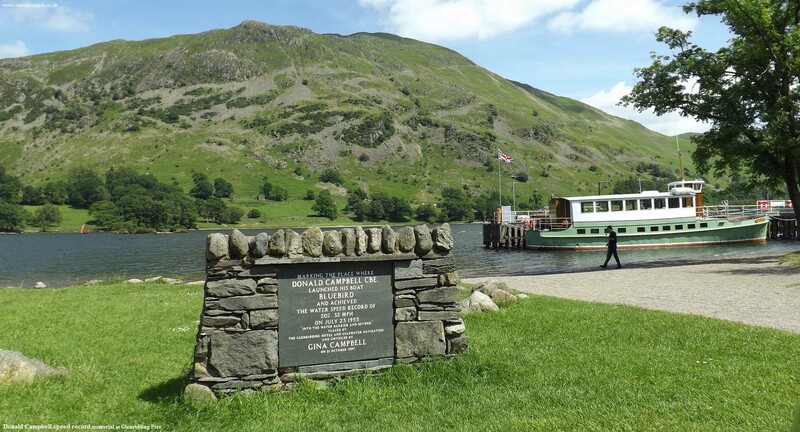 There are a number of popular Camping Sites around Glenridding and Ullswater Lake. The area is popular with hikers & walkers as there are walks and hikes from scenic glens, to 3,000ft mountains. Many hikers come here to do the Helvellyn Hike along the nerve testing Striding Edge. Helvellyn at 3,116ft or 950m, is the third highest mountain in England. There are a number of other substantial peaks that can be taken on the way out or back. There is also a steadier and safer route to Helvellyn. The walk out the glen to Red Tarn water, at the foot of Helvellyn, is really popular, with amazing views up to Striding Edge, Swirral Edge and Helvellyn. 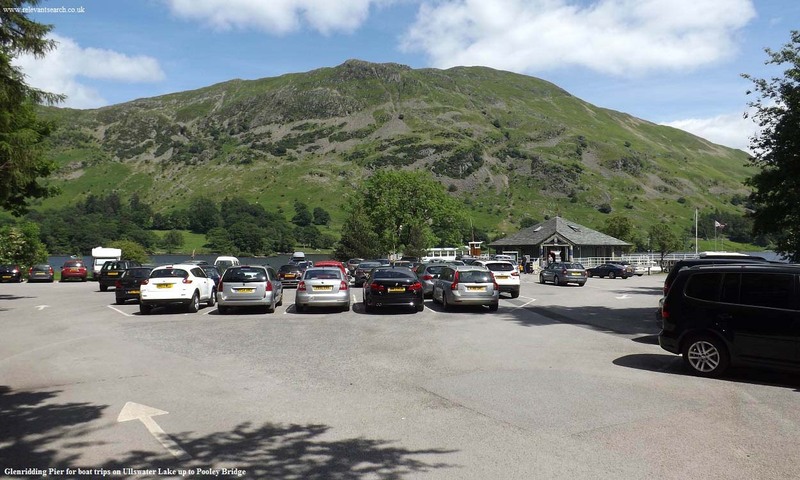 The 2,155ft Place Fell, across the lake from Glenridding Pier, is also a popular hike. with great views over Glenridding. 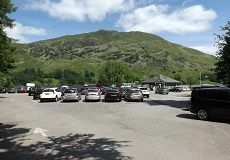 Glenridding has 2 hotels, both with views over the lake and welcome non residents for drinks and meals. There are also a few cafe's about the village, and the The Travelers Rest, a traditional pub popular with hill walkers. 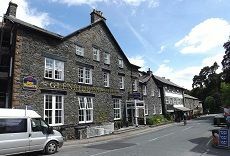 There are a number of other hotels in the countryside around Glenridding.